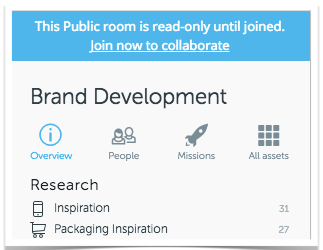 In order to add any type of content (images, videos, comments, likes and more) to a room you must Join the Room. Join the Room will make you a participant in the room and allow you to truly participate in the Room goals and objectives. Go to the Overview page. 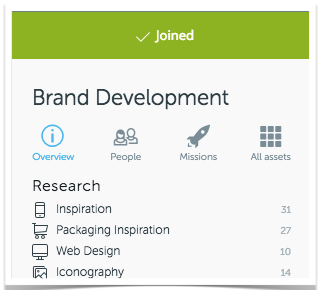 The top left will warn you if you are currently in "read-only" status and you can click the "Join now to collaborate", it will confirm that you have "Joined". Or on the top right you will see the Join this Room button. You need to "Join this room" to participate! The green "Joined" will confirm you are able to add content to the room. If the room is set as public you will be able to jump in, look around and see what is being added by other participants but in order to add your two cents you must Join!